The M2 Note is one of the newer additions to the Meizu Blue Charm line-up, which also features the M2 and m1 metal. Successor to the M1 Note, this phablet comes with a brilliant display, an octa-core processor and LTE support, all at a more affordable price. The Meizu M2 Note parades a plastic unibody design, which isn’t exactly shocking for when you consider the specs offered at this price point. In spite of the construction material, it boasts decent build quality that indicates it should withstand rugged handling. The 8.7mm handset displays either a smooth or matte finish, depending on the colour opted for. It packs a large 5.5-inch touchscreen with a resolution of 1080 x 1920 pixels and a pixel density of about 400 ppi. The IPS IGZO panel by Sharp promises awesome wide-angle viewing. On the camera front, the Meizu M2 Note is fitted with a 13-megapixel rear-facing camera with an f/2.2 aperture and 5-element lens. There is also a 5-megapixel front-facing snapper with an f/2.0 aperture and 4-element lens. These snappers are accompanied by several features to help enhance image quality. The device is provided with 16GB total storage and can also take a microSD card of up to 128GB capacity for expansion. An octa-core MediaTek MT6753 processor in placed in charge of task execution on the Meizu M2 Note. This CPU, paired with 2 GB of RAM and a Mali T720 GPU, delivers a maximum speed of 1.3 GHz. You should expect a performance level that will make you feel you have spent your money right, even though it is not on the same level as its predecessor in this regard. The handset is powered by Android 5.1 Lollipop OS, which is coated with its Chinese manufacturer’s Flyme 4.5 skin. Interestingly, this Meizu user interface is considered one of the best on the market. A 3,100mAh battery – just about the standard for a device of this size – is charged with juice supply and promises to support more than a full day of regular use. The Meizu M2 Note also has a Battery Saver mode that allows you to extend battery life further. The dual-SIM device offers 4G LTE, Bluetooth 4.0 and Wi-Fi among its connectivity options. It also comes with a fast browser. 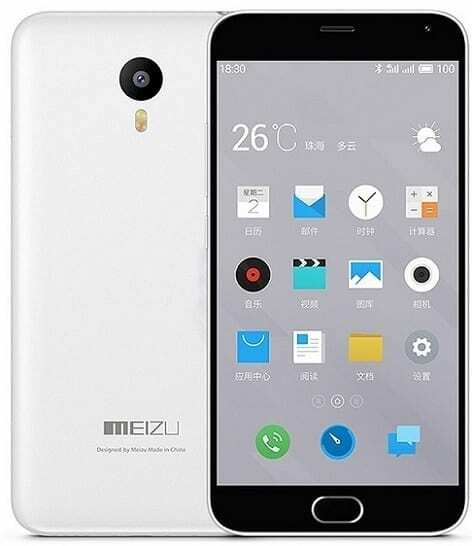 Meizu M2 Note is not yet available in Nigeria. When available, you can buy it at leading online stores in the country. Meizu M2 Note Price in Nigeria is expected to range from N30,000 to N45,000 depending on your location in Nigeria.